This summer marks 50 years since Chevrolet debuted the Camaro as a faster, sportier counter to Ford's game-changing Mustang. As one half of America's most intensely battled automotive rivalry, Camaro earned its place in the pantheon of American iconography. Next week, thousands of the best Camaros in the world will descend on Detroit for the annual Woodward Dream Cruise. Think of it like a proper birthday party. You could do far, far worse than rolling up in any of the five beauties you see below, and each one is for sale for a (relatively) reasonable sum. 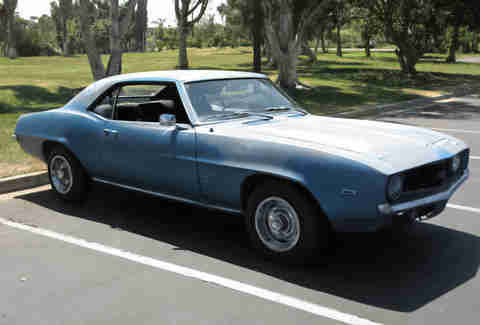 If you want a very nice Z/28 without spending more than you would for a new Camaro, this is probably your best bet. It has a 400cid V8 under the hood, a manual transmission, and just enough performance goodies to drive and sound great. A previous owner restored it years ago, and as you can see, it's still in pretty nice shape. The words "Camaro" and "IROC-Z" just kind of go hand-in-hand, don't they? 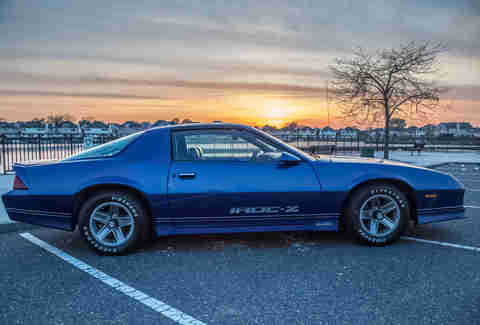 If you're unfamiliar with what an IROC-Z is, take a Z/28, beef up the suspension, tweak the engine a bit, and give it that amazing 1980s attitude-in-a-sticker vibe, and you've got the general idea. This one was restored back in 2008, and since then, it's got all of 20,000 miles on the clock. What the hell do I mean by "base Camaro driver," anyway? 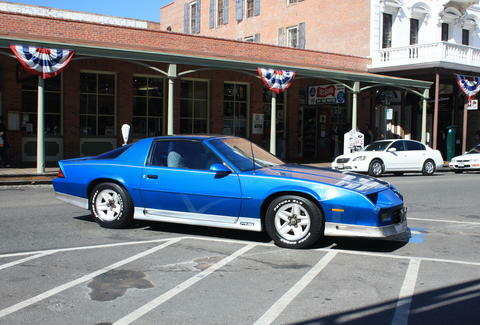 I mean this is a base-model Camaro, so it's a six cylinder, and it's in good running condition, according to the seller. As you can see from the photo, it's got one hell of a patina going for it, which means you can drive it around all day without a) calling your friends for a ride after you break down, b) worrying about destroying the value by driving it, and c) breaking the bank. Yes, this IROC costs nearly double the asking price of the other example, but there's a very good reason for that: it's a survivor. The bright yellow paint is all original, as is the engine, which has been in the car for every one of its mere 38,000 miles. 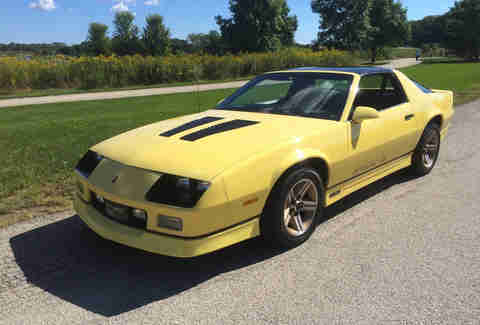 Some time in the next few years, third-generation Camaros will begin to really climb in price, and when they do, this is one you want appreciating in your garage. The Yenko Camaro is a legend, an ultra-rare car modified by a dealer (Yenko Chevrolet) with a 427 cid engine to put down some serious horsepower and ultimately compete with cars like the Shelby GT500. A good example today is likely to run you a quarter million dollars or more. This one? It's a very nice car, complete with a 454 cid V8 plucked from a '73 Corvette. 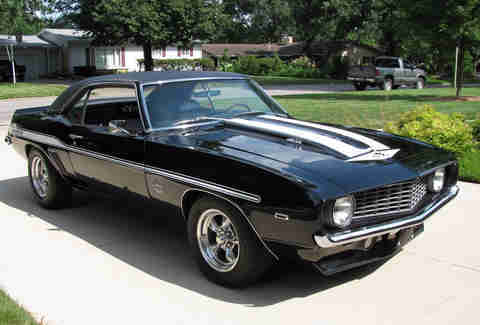 It'll be fun as hell, and it looks like a Yenko... just without the extra mortgage payment. Aaron Miller is the Cars editor for Thrillist, and can be found on Twitter and Facebook. He remembers playing in the driveway as a kid, when his neighbor came home with a brand new IROC-Z... and consequently feels old now.